I couldn't really decide which angle I liked best. So, I'm sharing both with you! This card is a bit 'flat' for my usual style, but I just thing it's perfect! 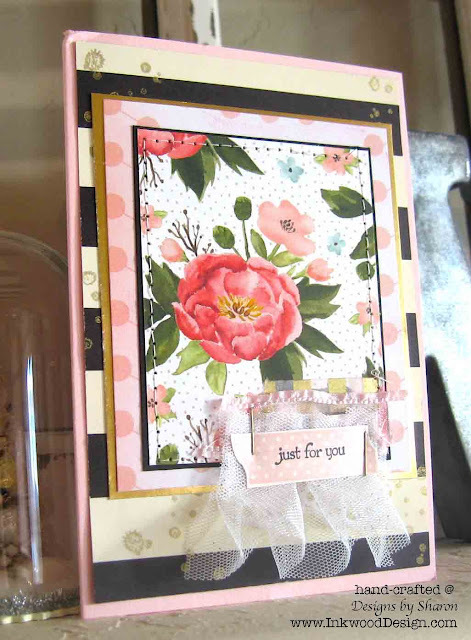 Recipe: The card base is pink pirouette card stock, by Stampin' Up! I just love this shade of soft pretty pink. 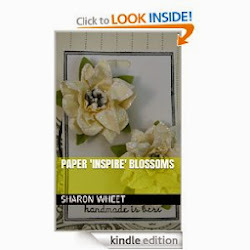 The black and cream layer is a pattern paper from Stampin' Up! Timeless Elegance DSP. I did add some gold stamping to this pattern paper. I used a retired splatter stamp, randomly. 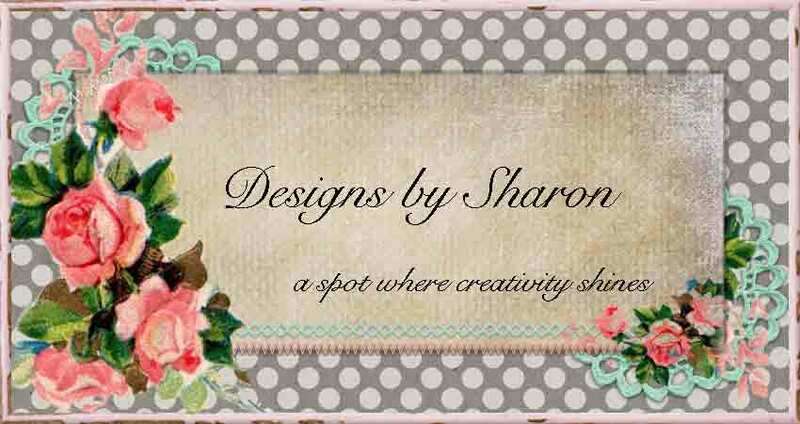 The pink polka dot pattern paper is a scrap piece I had left over from an earlier project. So I don't remember who makes it. I matted this pattern paper with gold foil card stock by Stampin' Up! as well. Then, I added layers of embellishments! First I added a piece of gold and white striped washi tape from Stampin' Up!. A scrap piece of pink sheer ribbon, a piece of cotton eyelet trim, and a scrap piece of pleated tulle. I stamped the 'washi' tape in blushing bride classic ink, using another stamp set by Stampin' Up! I stamped the sentiment from teeny tiny wishes stamp set, in basic black classic ink and fussy cut it out. I stapled the sentiment right on top of the trim collection. I used a gold sharpie to color the staples. And Viola!